Ted Finley is back on Earth, but humanity has lost control of the place he called home. With a world rendered unrecognizable by the power-hungry General, Ted and Erica have no choice but to look for reinforcements. But will the other conquered civilizations left in the dark souls' wake be enough to fight back? 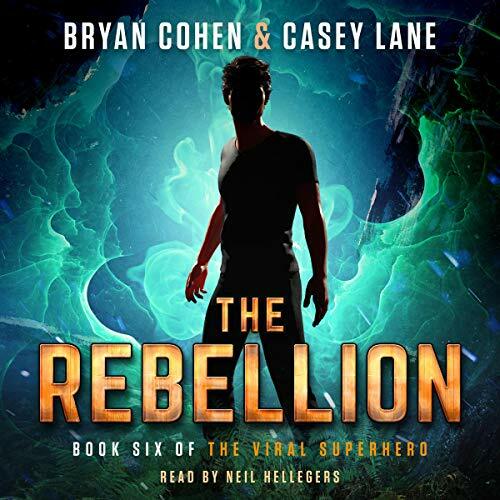 The Rebellion is the sixth book in the action-packed Viral Superhero series. If you like teenage heroes, bloodthirsty villains, and super-powered battles, then you'll love Bryan Cohen & Casey Lane's penultimate installment in the best-selling series. Buy The Rebellion to join humanity's last chance today!